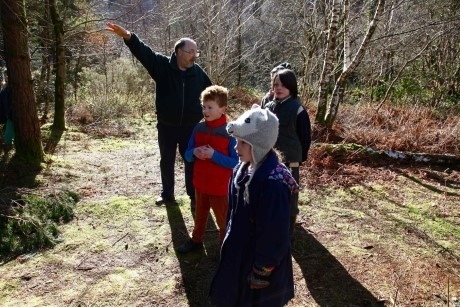 A new quarry walk is due to open at the Centre for Alternative Technology (CAT) to allow schools to get a better understanding of the plants and animals on site. Opening later this summer, the Quarry Walk will allow children to learn about changing land-use patterns and human impact on the environment as they walk through agricultural, industrial and woodland areas. The new trail will allow access to previously unseen areas of the CAT woodlands and gardens and give pupils the chance to understand more about on-site species such as dormice and lesser horseshoe bats. CAT CEO Adrian Ramsay commented, “The new trail will allow visitors to CAT to gain a better understanding of the impact that people have on the environment, and how we can create landscapes that actively benefit nature. The Quarry Walk has been built with support from Natural Resources Wales. Natural resources minister Carl Sargeant added, “One of the priorities of Natural Resources Wales is to provide opportunities for people to learn about and enjoy nature and the environment. The CAT woodlands team will be offering tours of sections of the tails during the Easter holidays, ahead of the official opening in late summer. These tours will be part of a programme of activities for visitors, which includes tours, talks, demonstrations and a range of eco-activities for kids. CAT is an education and visitor centre demonstrating practical solutions for sustainability, covering all aspects of green living such as environmental building, renewable energy and organic growing. For more information visit www.cat.org.uk.